We thought it could only happen in dystopian novels or sci-fi films – television greeting your name in the morning with a weather forecast and window blinds telling you to wake up as the slats rotate letting the sunshine in. Could be that your fridge is calling your attention that it’s out of milk? Or the shouting trashbin demanding to be emptied? Welcome to the Internet of Things – the day when we realize that these once mute “dumb” things have a lot saying after all. Experts and the Fiber Optic Association Cebu estimate that it takes a thousand gigabyte-speed Internet service for the Internet of Things to run. Can you imagine then how this will intensify for the billion other things to be connected? It seems that IoT will not only benefit from fiber optic broadband but also will need it. Network capacity may be vital to the success of the smart home. A smart-home slowed by the network traffic is useless to the consumer. No one in the world wants a slow network right? To correct this; the need for fiber network is the trend. Together with the practical applications of Fiber Optics and its breathtaking speed – the traffic, and big data issue would never be a problem. Billions of devices connected with each other face a major issue: security. Will anyone have the ability to hack your phone and gain access to your home? Is it going to bring greater security and protection dangers? It likely will. The good news is optical fiber technology is the right solution since it is the most secure one and extremely difficult to hack without being detected. Manufacturing is probably a lot way ahead when it comes to the practical application of IoT. No other industry has been significantly affected by this technological revolution than manufacturing. 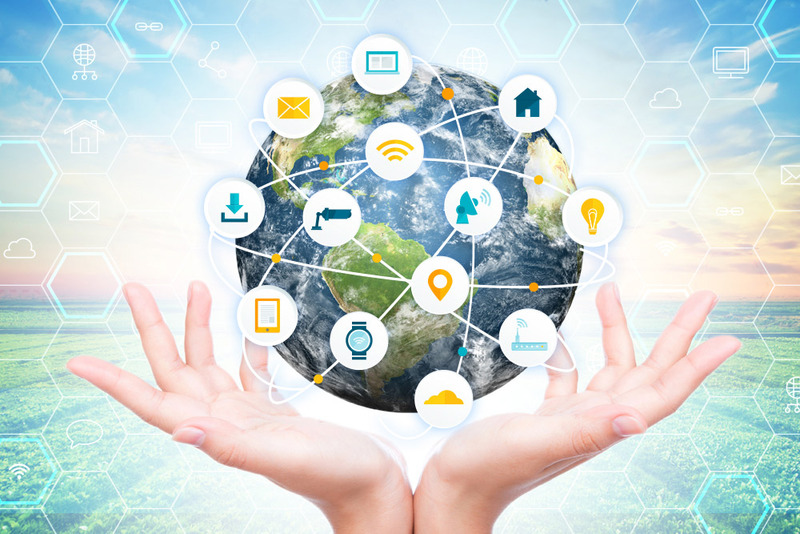 Manufacturers in automotive, chemical, electronic, durable goods, and many others have taken on IoT devices. They’re already at the receiving end of its benefits with the use of retrofitting sensors in the equipment. It has greatly improved the efficiency and productivity of their operations, such as asset tracking, monitoring and maintenance, and autonomous robots. Farmers have also adopted the connected sensors to monitor crops and cattle. The “smart cow” helps ranchers monitor pregnant cows that are about to give birth. The sensor detects motion associated with oncoming labor and then sends an SMS notification to the herd manager. This reduces the number of livestock losses. IoT sensors also track weather conditions and monitor soil moisture and notify farmers if there’s a sudden critical change. It sets off an alarm when something goes wrong in temperature, humidity, acidity, and other conditions. Farmers can also track the movement and behavior of the herd. IoT sensors, therefore, boost production and efficiency. The Internet of Things started off from a Coca Cola machine at the Carnegie Melon University in the early 1980s. Local programmers would connect by the Internet to the refrigerated appliance, and check if there was a drink available and if it was cold before making the trip. It then evolved to using multiple technologies for wireless communication, control systems, and automation. It was simply any device with an on and off switch connected to the Internet. This led to the question that if it has an on/off switch then, theoretically, it can be part of the system, yes? Well, we know the answer to that already. Today it may even be possible for a doorbell to tell you through your smartphone that someone is outside and allows you to see and speak with whoever it is. In the field of medicine, fiber optic networks allow high-definition cameras for doctors at healthcare facilities to have video conferences with students showing videos and addressing their queries in real time. It doesn’t take a certified fiber optic technician to imagine the possibilities once IoT is applied in hotels, restaurants, and our homes – though it would help if you are. The possibilities are endless, and it will eventually creep into other industries just like how computers with internet did. And like any other new and exciting things, well, IoT will cease to be new and exciting. Eventually, one day, it will be hard to imagine that all things were once mute and that the benefits of IoT run by fiber optics hadn’t always been with us from the start.